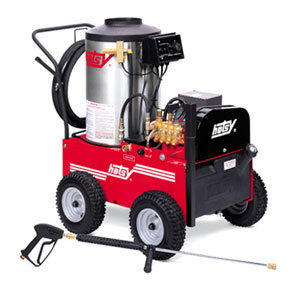 Hotsy is the leading brand of industrial hot water pressure washers, and we offer over 80 models in many power types and configurations. 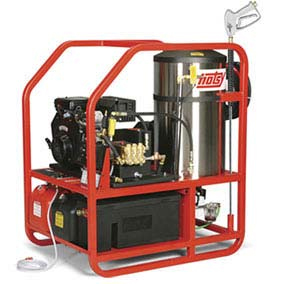 Whether you need a portable or stationary model, electric powered or gas, LP or gas fired, we are here to assist in every step of your decision, to ensure you select the best model for your application. 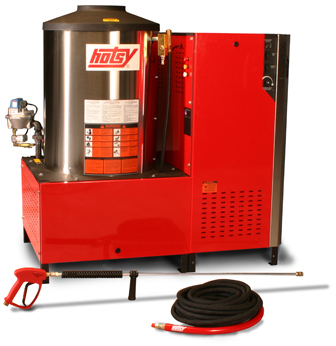 Why choose Hotsy? 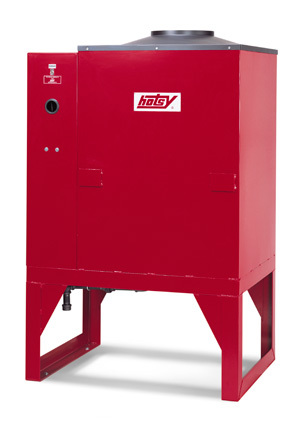 Durability, reliability, superior engineering, Hotsy’s efficient upright burner and excellent warranties are just a few reasons. 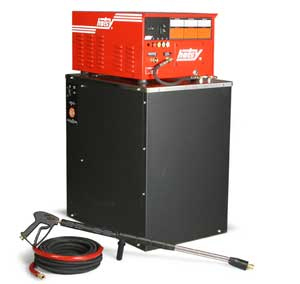 These are heavy-duty power washers designed to last. With proper maintenance and service, our washers will last for years to come, helping you to protect your equipment investment. 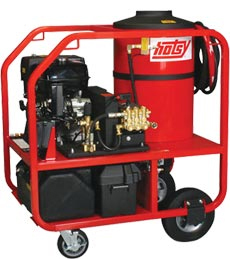 Below you’ll find more info on the Hotsy hot water pressure washers available. 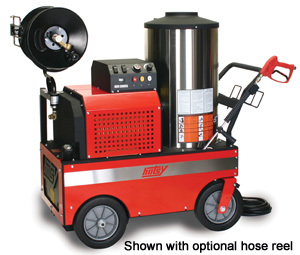 We’d be happy to provide more information on pricing and specifications, and work up a quote for you. Please contact a member of our team in our Greeley, CO or Casper, WY locations by calling 970-351-7910 in CO or 307-234-6403 in WY. 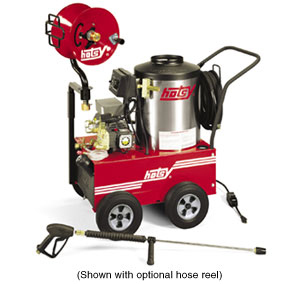 (shown with optional hose reel) Our most popular model has an Electric motor, and is Oil-Fired or LP-Fired, with a 1725 RPM Direct-Drive Pump. 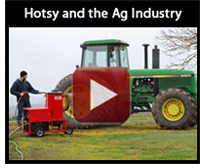 It’s ideal for industries such as construction, manufacturing, trucking, agriculture and more. Compact, sporty and easy to operate. 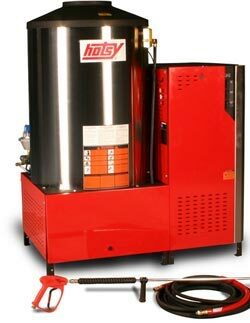 By attaching the 9400 heating module to a cold water pressure washer the pressurized water is now heated to produce all the benefits of hot water cleaning. 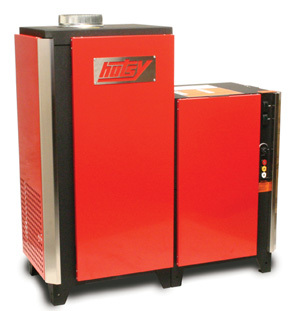 The four models use fuel oil, diesel or natural gas to heat the water using Hotsy’s high-efficiency, vertical heating coil.